The Cazino Cosmos slot from Yggdrasil has 20 winlines and a RTP of 96%. 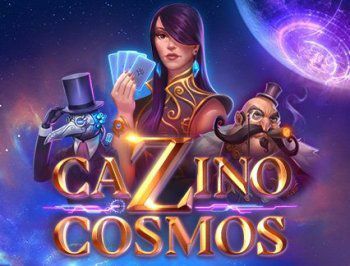 Play Cazino Cosmos and become the universe’s biggest high-roller. Each reel has its own collectable wild symbols. Completing any of the collections will take you to separate Free Spins. Like added wilds, extra free spins, wild nudges, stacked wilds or wild conversions. Get lucky with the reels and you can hit unearthly wins of over 10.000x your bet! So, if you want to get a glimpse of the best game this side of the Milky Way, then step right into Cazino Cosmos.